HOT SAUCE 2023 TINSELTOWN CHAMPS!!! All of our teams will be attending Adrenaline's America's Finest Rivarly in San Diego on June 15-16th, 2019. A couple of our teams will be attending Adrenaline's Tinseltown Throwdown in Irvine on July 20-21. Our 2023 Select Travel team has accepted a bid to the US Lacrosse Nationals Tournament and will be going to Pennsylvania on July 19-21. Tryouts for all High School teams will be Sat May 11th 9-10:30AM. Location is TBD. Practices will take place on Sunday, Monday or Tues evenings and the times may vary depending on player availability. Please see email invite for a detailed list of practices and locations. 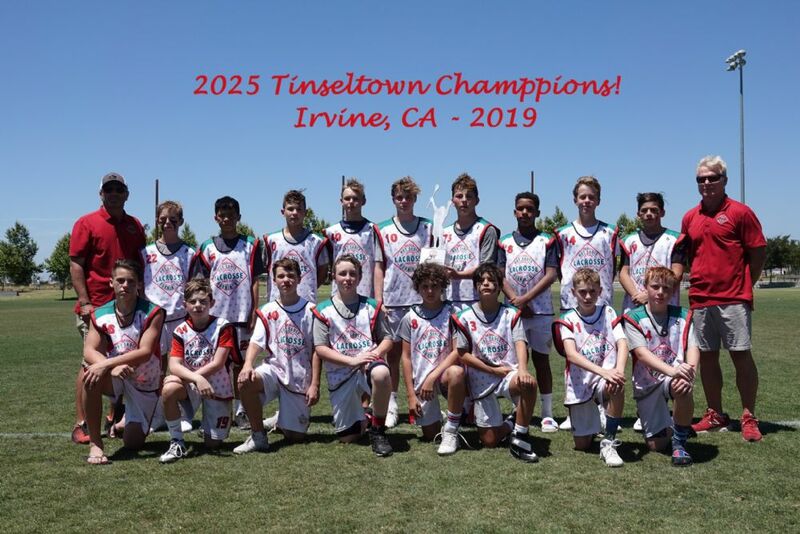 CONGRATS TO THE 2018 HOT SAUCE 2023'S ADRENALINE TINSELTOWN THROWDOWN CHAMPIONS! 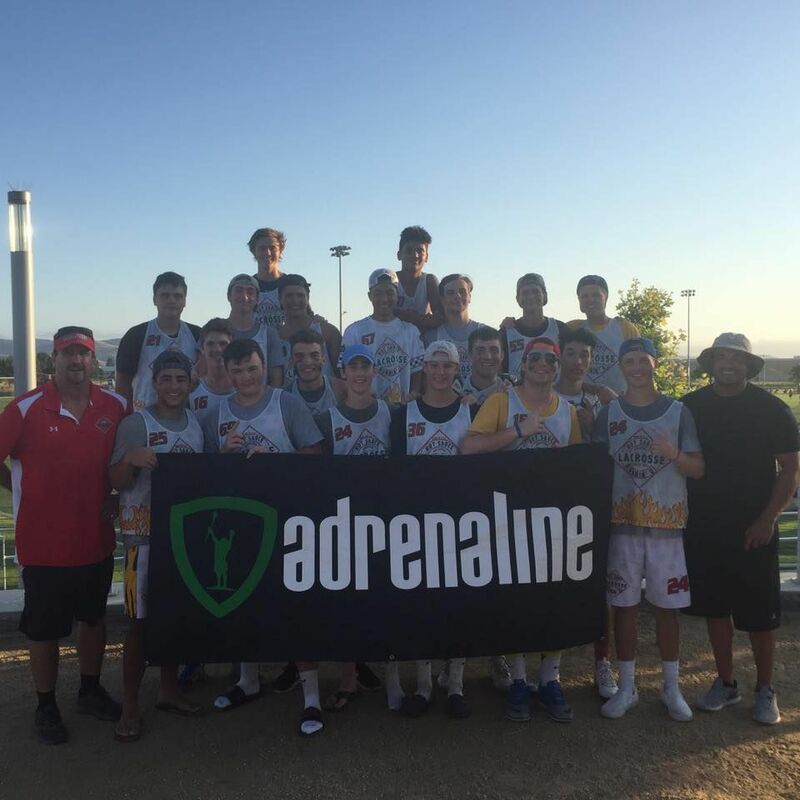 Check out AZ Hot Sauce 2019 playing in Adrenaline Tinseltown Throwdown on Tourney Machine! Check out Arizona Hot Sauce 2023 playing in Adrenaline Tinseltown Throwdown on Tourney Machine! Why Hot Sauce Travel Teams? The Hot Sauce travel program is designed to take players of all ages and to be competitive at each level with the goal of winning the most games while improving the level of play of each individual player. We limit roster size so that playing time and coaching ratios are maximized. We keep costs to a minimum so that players and families can afford to play and travel. Our goal is to grow the game in Az, not our pockets. Our coaching staff is some of the best in Az. While some clubs tout one or two coaches with actual experience, we have many coaches who have competed and coached at the highest level. While our coaches have multiple National Championships, State Championships, and Coach of the Year Awards under their belts, it's really about our longevity within the game and the community. 95% of our coaches have been involved in lacrosse their entire lives. Most of us have kids in the program and are motivated by our passion to see the sport grow and succeed here in Az. That is why we are leaders in the leagues and with many of the teams in AZ. None of us make our living from lacrosse, we just love the game and want to see more kids do the same. 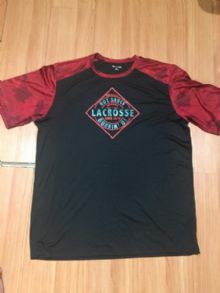 Hot Sauce Lacrosse is dedicated to teaching the basic fundamentals of lacrosse and to promote the love and spirit of the game to young boys (K-8th grade) and young men (9th-12th grade) in the state of Arizona. These basics will be grounded in the philosophy of playing the game "The Hot Sauce Lacrosse Way." playing the game with Hot Sauce Heat: energy, excitement, intensity, & passion while being fundamentally sound and smart. It is always being prepared, giving maximum effort, and working together (coaches, players, refs, and parents) as a family in order to promote the sport of lacrosse by striving to instill the values of sportsmanship, respect, teamwork, and fair play in a fun, positive, & safe manner; in essence we "Honor The Game." Please check out our "Frequently Asked Questions" (FAQ) tab on the top for some answers to common questions that might help you understand the programs that Hot Sauce offers. 2017 Adrenaline Tinseltown Throwdown Elite CHAMPIONS!!! CONGRATS TO HOT SAUCE ELITE CHAMPIONS! Irvine, Ca - The Az Hot Sauce Elite squad traveled out to Irvine, Ca and competed at the highest division against 8 other Elite teams from the Western U.S. With a slow start on Saturday vs a solid Angel City Hounds Elite A team from the LA area, they had a tough time finding the rythm they had experienced success with in San Diego the previous month. The Hounds proved too much for Sauce to handle and put up 9 goals on the usually formiddable Sauce "D". The offense had trouble executing it's patented "hippo" offense and could only manage to get 4 goals in the defeat. Next up was a talented staple to Southern CA lacrosse, the Laxdawgs Elite from nearby San Diego. Sauce was hit with several penalties early on, but the D found it's grove and executed the Box-N-1 man down well enough to hold off the Dawgs and pulled out a 6-5 victory after getting a few more opportuities from it's offense. Giving up 14 goals and being 1-1 on the first day, put the Sauce at a diappointing 7th seed and a match-up against the #2 seed Leverage Elite on Sunday. Sunday was a new day for the Sauce and having been well rested with some R'n'R on the beach Saturday, the Sauce came out with some great take aways on D while facing a very strong FOGO for the Leverage Elite team. Offense started to gell and Sauce came out with the W, 5-3. Next up in the Semi-Finals was Animals Elite from Rancho Bernardo. It was another battle at the faceoff "X" with lots of scrums and hard fought grinds with both teams playing tough on D. After a few lead changes, the Sauce was able to put way a couple of goals towards the end to seal the victory at 7-5. The offense was starting to click and the middies played tenacius on both sides of the ball. This set up a rematch for all the marbles against the Sauce's only defeat with the Angel City Hounds Elite. Sauce came out of gate with guns-a-blazen in the Championship game rifling in 4 straight goals to take an early 4-0 lead. The Blood Hounds were not gonna roll-over like an old dog on his death bed, as they went on a shooting spree of their own and buried 5 rocks in a row to take the lead. Before the half ended the Sauce nailed a "bar down-ski" to tie it up and set the stage for a second-half rival battle for the crown patch! The gun show continued in the second half with both teams firing on target and finding the promised land for a back and forth battle with lots of no-calls from the zebras as the game got more intense in the closing minutes. Tension heated up on the sidelines and coaches from both sides were demanding everything they could get out of their players. Ultimately, the Sauce got a deal killer goal with less than two minutes to go and then recvovered the rock at the ensuing faceoff and were able to kill the clock while taking some brutal checks from the savage hounds. Victory was so sweet in the third game of the day, after an all day affair leading into the evening on a sunny California weekend. 11-10 was the final wreckage and the Sauce brought home the coveted Adrenaline Tinseltown Champions Patch!!! Congrats again to all the hard working players and especially to the parents who paved the way for them to be there! This Elite squad is a pleasure to coach and a joy to be around as the personalities abound. They serve as great role models for our younger players and we look forward to having everyone back to Vegas and Sandstorm in the Fall.